Many local and national media outlets are covering the protests that have been taking place in reaction to the fatal police shooting of Philando Castile, but the reporting of one organization has stood out. 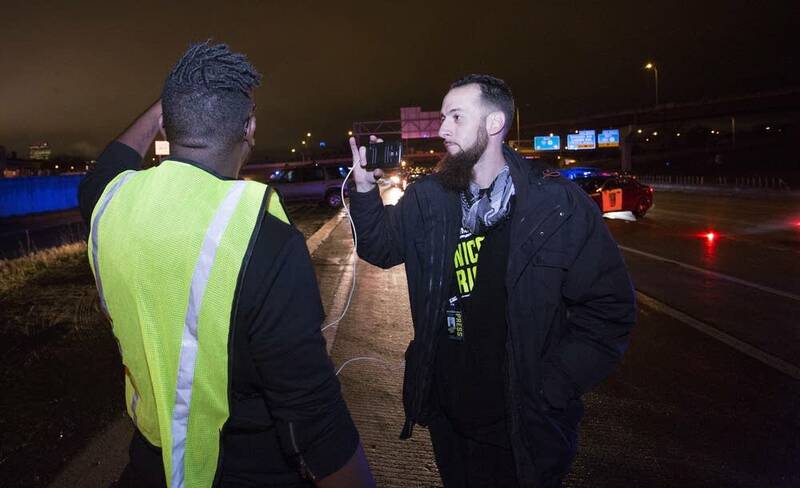 On Wednesday morning, while most local media companies scrambled to get reporters to the scene of a protest that stopped traffic on southbound Interstate 35W, a photojournalist with Unicorn Riot was already on the freeway streaming live video over the internet. The volunteer-operated decentralized media collective has been right in the middle of many recent protests, broadcasting live unfiltered sounds and images. Their approach to journalism is quite different from the mainstream media. MPR's Cathy Wurzer spoke with Unicorn Riot member Niko Georgiades about how they work. Correction (July 14, 2016): An earlier version of this story misspelled the first name of Niko Georgiades.